This is one of those questions that we just don’t get enough information from the Bible to answer. But in cases like this, we should always see what we can find out by trying to get the answer. It was only after some further time that God said to Samuel, “How long will you mourn for Saul, since I have rejected him as king over Israel? Fill your horn with oil and be on your way; I am sending you to Jesse of Bethlehem. I have chosen one of his sons to be king.” This gives us a little bit of a clue about the overall time frame. David became king, after Saul’s death, at age 30; he was very likely under 20 years old when Samuel anointed him, since he still wasn’t old enough to serve in the army. So there were at least ten years between the time God told Samuel to stop mourning and when Saul died. If we assume that took at least 10–20 years for Saul to conduct all of those military campaigns against the hostile surrounding nations after first establishing his own rule, it seems likely that not much more than 10 years could have passed between when God said he was rejecting Saul as king and when God told Samuel to stop mourning. The time could even have been shorter than this, depending on when Saul actually did disobey for the second time. But the expression “how long?” suggests that it was at least a period of some years. That’s how it seems to me, anyway. As I said, we aren’t given enough information to know for sure, but I would personally estimate somewhere from a few years to as many as ten years. So what can we learn from trying to answer this question, even if we can’t settle on an exact time period? For one thing, we see that it was appropriate for Samuel to pray for Saul and to mourn for him. The Bible affirms these actions by recording them for us. The loss of a great leader’s potential future contributions through misconduct is tragic. We honor God, who gives leaders their abilities and opportunities, when we acknowledge what a loss it is when these gifts can no longer be used to the fullest. However, another thing we learn is that it is not appropriate to mourn such a loss forever. People need to reach the point where they accept the consequences of their own actions, and we ourselves need to reach the point where we accept the consequences of others’ actions and join in the response that God is making to the new circumstances that have resulted from them. Saul’s son Jonathan actually provides an excellent example of this. After David had to flee from Saul, Jonathan went to see him and “helped him find strength in God.” He told him, “You will be king over Israel, and I will be second to you.” In other words, Jonathan accepted that he would not become king himself, succeeding his father, because Saul had forfeited his rights to a dynasty and even to the kingship. Jonathan accepted that David would become king instead. But he envisioned where he would fit in those new circumstances, and he was prepared to assume this role and make his contribution. Unfortunately, Jonathan himself was killed in the same battle in which his father Saul died, so he wasn’t able to fulfill these plans. But he nevertheless provides a good model of accepting the consequences of another person’s actions—even when they affect our own future prospects—and planning to take part in the new things that God will do in light of those consequences. This is what God was telling Samuel to do as well. God wanted him, in effect, to stop wishing that Saul could still be king and go anoint someone else. Mourning for a leader’s lost potential contributions should not be endless and infinite; it’s God’s purposes in the world that are infinite, and all other considerations must be subordinate to them. However, I think we can also assume that God did allow Samuel to mourn Saul for the full time period that was appropriate. This explains why there was a delay between the two things you’re asking about, however long that delay might have been. 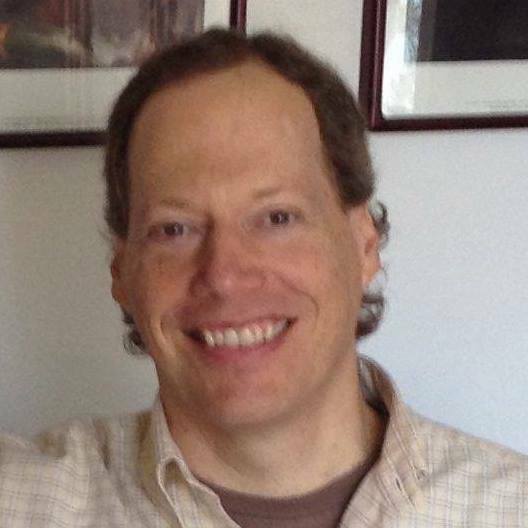 Author Christopher R SmithPosted on April 23, 2019 Categories Justice/Fairness of GodLeave a comment on How long after God rejected Saul did God tell Samuel to stop mourning for him? Author Christopher R SmithPosted on April 15, 2019 April 16, 2019 Categories Justice/Fairness of GodLeave a comment on Didn’t God treat Saul a lot harsher than David? Author Christopher R SmithPosted on January 31, 2019 Categories Justice/Fairness of GodLeave a comment on Deny Christ to save others’ lives? How could God bless Abraham when he was deceitful? Q. When Abram (Abraham) went to live in Egypt, he said deceitfully that Sarai (Sarah) was his sister, not his wife. But as a result, he “acquired sheep and cattle, male and female donkeys, male and female servants, and camels.” In other words, he got very rich. And he got to take all those things with him when he left after his deception was exposed. It’s almost as if God blessed him for being deceitful. That doesn’t seem right to me. I mean, God doesn’t want us to get money through deception, does He? • Abraham goes to Egypt because of a famine, as the Israelites did. • When Abraham leaves Egypt, he takes away much wealth from there, just as the Israelites “plundered” the Egyptians by asking them “for articles of silver and gold and for clothing” and carrying those away with them. It’s worth noting that this suggests that the “plunder” the Israelites would take from Egypt would be at least partial compensation for the many years they would be forced to work without pay. But what about the riches Abraham acquired? They don’t seem to be anything that the Egyptians “owed” him. I think the issue really comes down to this: Did the Egyptians only take Sarai as a concubine for Pharaoh because Abram told them she was his sister—they wouldn’t have done so otherwise? Or was Abram correct in believing that the Egyptians were going to take her one way or another, and the only question was whether they would kill him to get her? If the former is the case, then Abram feared unnecessarily, rather than trusting in the Lord, and he was also unnecessarily deceitful and caused Sarai real or potential dishonor as a result. It would certainly be difficult to understand how God could allow him to acquire such riches under those circumstances. However, the thematic connections between Abram’s experience in Egypt and the later experience of the Israelites there, along with the explicit connection that is made shortly afterwards, suggest that Abram was correct to see the Egyptians as people who would oppress foreigners. Indeed, the fact that when “the Egyptians saw that Sarai was a very beautiful woman,” they “took” her as a concubine—there’s nothing about them seeking consent from the “brother,” offering a bride-price, etc., as we typically see elsewhere—indicates that they may well have been as forcefully oppressive as Abram feared. This brings us to a different question: Was it valid for Abram to use deception to try to ensure that, if Sarai were inevitably going to be taken as a concubine, at least he wouldn’t be killed in the process? 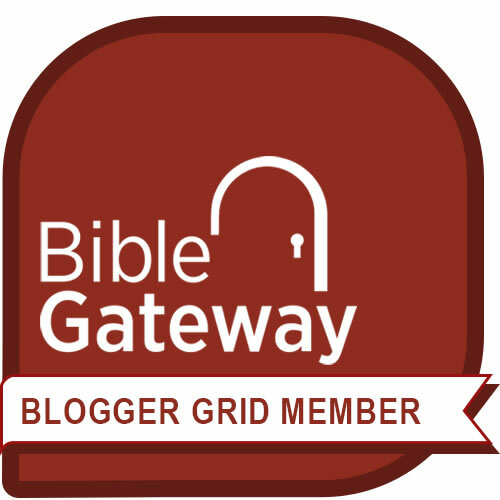 In this series of posts, I consider some other biblical characters (such as Rahab and Samuel) who apparently used deception to protect themselves and others from oppressors who held a significant power advantage. It seems that in some cases, God’s purposes may actually have been advanced through this. It’s a controversial question with no clear answer, but if we assume that people who are at a hopeless power disadvantage can legitimately use deception for protection (for example, by hiding people who would otherwise be captured and mistreated or killed), and if we conclude that Abram was indeed right in believing that the Egyptians would want to take Sarai even if they had to kill him to get her, then his deception is at least understandable. He didn’t deceive the Egyptians in order to get wealth; instead, he got the wealth as the “brother” of a woman who had been “taken into Pharaoh’s palace.” In a sense, accepting these gifts was a means of maintaining the deception, which appears to have been vital to his survival. However, we also have to consider that Pharaoh responded by returning Sarai to Abram and sending them on their way when the Lord “afflicted the Egyptians with great afflictions.” We do have to wonder what would have happened if Abram, instead of claiming that Sarai was his sister, had cried out to God for protection in this dangerous situation. God could presumably have “afflicted with great afflictions” anyone who tried to harm them, and that would have protected them. But as so often happens in the Bible, what we are seeing is the action of God in a situation that is already imperfect because of human choices. Still later in Genesis, Abraham and Sarah go to live among the Philistines for a while. Abraham says to himself, “There is surely no fear of God in this place, and they will kill me because of my wife,” so he once again claims that Sarah is his sister, and she is taken into the palace of King Abimelek. But in this case God speaks to Abimelek in a dream and he responds by returning Sarah immediately. (It turns out that there was “fear of God” in that place.) But even though in this case the passage specifies that Sarah had not yet become Abimelek’s concubine, the king still pays Abraham a large quantity of silver “to cover the offense against you,” that is, as compensation for an offense against Abraham and Sarah’s honor, even though it was unintended and based on a deceptive claim, and no actual harm was done. We might conclude that if such compensation was appropriate in the case of Abimelek, some compensation would also be appropriate in the case of Pharaoh, particularly if he was more oppressive and less God-fearing. Even though the riches Abram acquired in Egypt were not originally intended as compensation, but rather as gifts, and they were due to Abram’s false pretenses, we could still understand them ultimately as being compensation: Pharaoh says, “Take your wife and go,” and he doesn’t ask for the gifts back. However, as I said, it’s already an imperfect situation due to human choices by the time we get to sorting out what role God’s actions play in it, so I think there’s good reason to continue pondering what happens in this episode. Author Christopher R SmithPosted on January 19, 2019 Categories Justice/Fairness of GodLeave a comment on How could God bless Abraham when he was deceitful? Was Jesus a legal or an illegal refugee? Jesus was a very particular kind of refugee: an asylum seeker. That is, he fled for safety to another country because he would have been killed if he had stayed in his own country. The fact that this “was not illegal” is the whole point. Trying to criminalize asylum seeking, whether in law, or through the way government policy is carried out, or in the popular imagination, is a departure from a time-honored international standard of justice and compassion. If Jesus had been killed by Herod, he couldn’t have been our Savior, either. Author Christopher R SmithPosted on July 14, 2018 Categories Justice/Fairness of GodLeave a comment on Was Jesus a legal or an illegal refugee? Were any women killed for worshiping the golden calf? Q. Were any women killed for worshiping the golden calf? If not, why? Didn’t they contribute their gold to make the image and engage in the same behavior as the men? The account in the book of Exodus that describes how the Israelites made and worshiped the golden calf does leave us with the impression, at least at first, that only men were killed in punishment. Moses told the Levites, who had remained loyal to the Lord, “Go back and forth through the camp from one end to the other, each killing his brother and friend and neighbor.” All of these terms are masculine, suggesting that only men were targeted. Also, the account of the golden calf concludes by telling us that “the Lord struck the people with a plague because of what they did with the calf Aaron had made.” So even if no women were killed by the Levites for their part in making and worshiping the idol, it appears that some women did die in this plague. Finally, in the New Testament, Paul describes to the Corinthians several things the Israelites did that constituted a pattern of disobedience and rebellion, as a result of which “their bodies were scattered in the wilderness.” This was in keeping with the punishment that God announced when the people rebelled definitively at Kadesh and refused to enter the promised land. So any women who were involved in the golden calf episode but who were not killed in punishment at the time nevertheless died in the desert as the result of chronic disobedience that included that episode. In other words, anyone who contributed to making the calf and participated in its worship was subject to punishment—women as well as men. There was no unfairness in that regard. Still, the account of the golden calf and of these divine punishments is one that thoughtful readers of the Bible wrestle with today. We may wonder why people were killed for making and worshiping an idol. But worshiping a different god meant becoming an entirely different kind of culture than the one envisioned in the Law of Moses. In Old Testament times, every society was a theocracy that mirrored the character of the god it worshiped. The Canaanite gods were bloodthirsty, power-hungry, and immoral, while Yahweh was pure, holy, compassionate, and concerned for the poor and weak. 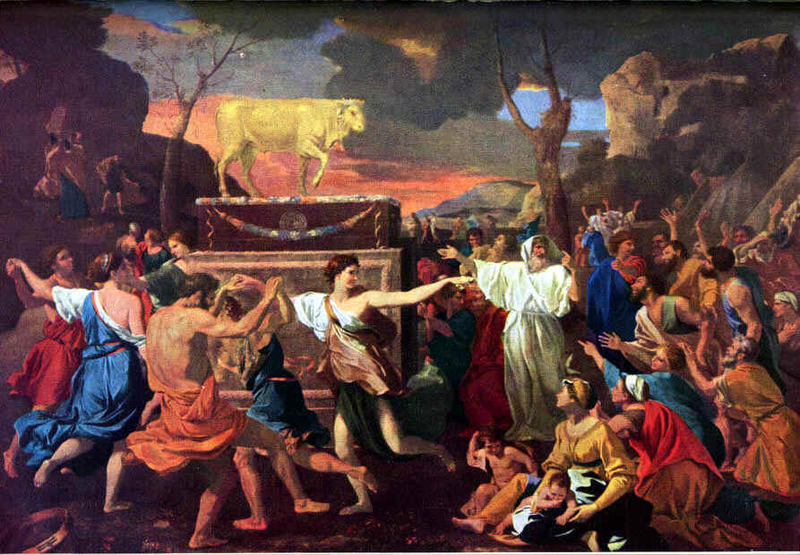 Even as the Israelites first started to worship the golden calf, they began to change the character of their society, engaging in “revelry” (sexual immorality, though described euphemistically as “dancing”) as part of the proceedings. The decay was spreading so fast that it needed to be halted immediately. The overt violence may trouble us, but it seems to have been intended to prevent the subtle, crushing violence of injustice and oppression that would have settled into the society if it had adopted Canaanite-style gods. Author Christopher R SmithPosted on February 14, 2018 Categories Justice/Fairness of GodLeave a comment on Were any women killed for worshiping the golden calf? Why didn’t God give Esau back the blessing that Jacob stole? Q. I appreciated your post on “Why couldn’t God defeat Jacob in a wresting match?” but I have another question. This one has been disturbing me for quite a long time. Why did God allow Jacob to steal Esau’s blessing and get away with it? Why did God continue to bless Jacob? I expected that at some point, because we are dealing with an omnipotent being, God was going to reverse the blessings, but that doesn’t happen. Please answer. Let me respond by offering a series of observations. First, the blessing that Jacob stole from Esau was specifically the blessing of primogeniture, that is, the blessing Esau would have been given so that he could fulfill his responsibilities as the first-born son of Isaac. Primogeniture (which simply means “first born”) was one of the existing cultural institutions that God incorporated into the Law of Moses to promote order and provide for those in need. The book of Deuteronomy commands that when a father dies and his inheritance is divided, the firstborn son is to be given a “double portion,” that is, twice as much as the other sons. In this culture women didn’t own property and so they were dependent on male relatives, typically their fathers and then their husbands. But any unmarried sisters, or widowed sisters without children, would have to depend on this oldest brother after the father’s death. That’s why he was given a double portion, so he could care both for his own immediate family and for his extended family in his late father’s stead. A further observation I’d like to make is that, paradoxically, God repeatedly did not follow the custom of primogeniture as He carried out His program of redemption. The Old Testament is full of examples of God choosing younger brothers over older ones: Isaac over Ishmael; Jacob over Esau (even before they were born, God told their mother, “the older will serve the younger“); Judah over his three older brothers as the ancestor of the royal line; David over his seven older brothers as king; and so forth. It seems that God simply looks for the person who can best fulfill his purposes, regardless of that person’s social standing. And so the judges, for example, include both men and women (Deborah), even though this was a patriarchal society that privileged men, and they also include an illegitimate son (Jephthah) and a youngest son (Gideon). My next observation is that God works through the free choices, both good and bad, of human moral agents to accomplish his purposes. We get an indication of this when Joseph tells his brothers, who sold him into slavery, “You intended to harm me, but God intended it for good to accomplish what is now being done, the saving of many lives.” God does not take away our free will; God lets us choose, and God is always able to work with our choices to advance his own positive purposes, although there can also be negative consequences for people who makes bad choices. Genesis tells us that “Esau despised his birthright,” that is, his responsibilities as the firstborn son weren’t important to him and he was likely to neglect them. Jacob, on the other hand, was hard-working and ambitious—a real hustler. He was much better suited to assume the leadership of the Israelite family as it began growing rapidly into a group of tribes that would become a nation. Ideally, Esau would have recognized Jacob’s abilities, and his own disinclination, and offered Jacob the role of family leader voluntarily. Unfortunately, that’s not what happened. Jacob was a “hustler” in another sense—a con artist. He took advantage of a weakness in Esau’s character to defraud him. The book of Hebrews describes Esau as “profane,” meaning literally that “nothing was sacred to him.” (Clearly these were two young men who both needed some character development!) One day Esau came home famished at the end of a day of hunting and saw that Jacob had made stew. He pleaded for some, and Jacob “sold” it to him in exchange for his birthright, which he knew meant nothing to Esau. But Jacob still had to get the blessing that went with the birthright, and so he also deceived his father Isaac, pretending to be Esau once his father’s eyesight had grown so dim that he couldn’t tell the difference. (Though smooth-skinned Jacob also had to put on Esau’s clothes and wrap his arms and neck in goatskins, so that he would smell and feel like his hairy older brother!) As a result of this deception, Jacob received his father’s blessing, in God’s name, of both material abundance and family leadership. So why did God honor this blessing, when it was obtained under such fraudulent circumstances? As I said earlier, God works through the free choices, both good and bad, of human moral agents to accomplish his purposes. Unfortunately we often don’t give God good choices to work with, and that seems to be what happened in this case. There were plenty of negative consequences for Jacob: He had to flee from his brother’s anger at this deception, leaving with nothing but a staff and spending twenty years in exile. But through the hardships of those years, his character was shaped and he became a man who could lead the tribes of Israel into their future. The same thing could have been accomplished much more positively, but I think that everyone involved (not just Esau and Jacob, but their parents Isaac and Rebekah, who each showed favoritism towards a different son) didn’t give God enough good choices to work with to allow things to happen any better. As I said, God doesn’t take away our free will. These actions on Jacob’s part don’t undo Esau’s surrender of his birthright; that was an permanent transaction between the two of them, even though it wasn’t concluded under the best of circumstances. But it does seem that Jacob, now that he is more mature, at least tries to return some of the benefits of their father’s blessing to Esau. Sometimes this kind of thing is best we can hope for. It’s a messy world, even with an omnipotent God actively working to bring about its renewal. Raffaellino Bottalla, “Meeting between Esau and Jacob,” c. 1640. Esau and Jacob ultimately were reconciled later in life. Author Christopher R SmithPosted on November 17, 2017 January 20, 2018 Categories Justice/Fairness of God7 Comments on Why didn’t God give Esau back the blessing that Jacob stole?